Please call 07414858858, 07778708910 or our office number: 01216343714 to arrange an appointment. Excellent finance deals available from just £372 for HP (£0 deposit). PCP available for this car too. Drive away same day - with no extra admin fees! This car has BMW manufacture warranty until September 2019. Last serviced on 24/03/18 at 23400 miles. First MOT due 26/09/19. Health check provided. Spare key available. 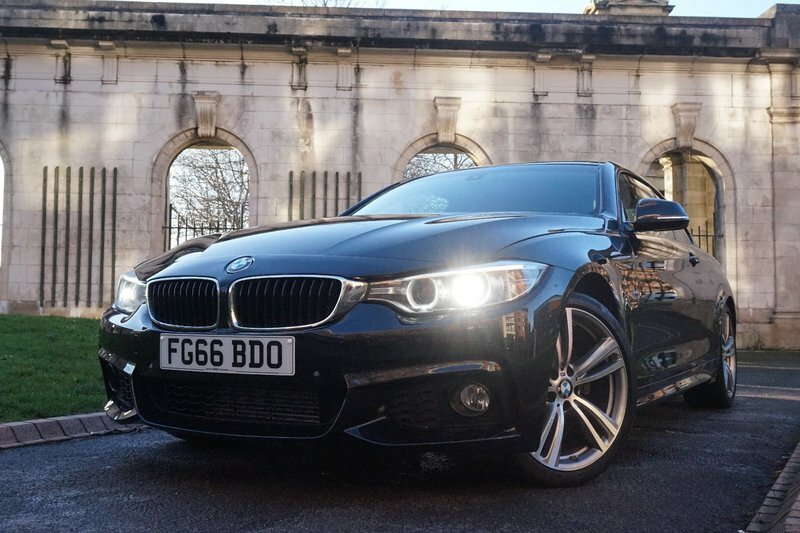 1 owner from new BMW 420D M Sport in Black Sapphire with Black Dakota Leather. This car includes 19" Double-spoke Style 442M Alloys, BMW Navigation - Professional (large screen), M Steering Wheel, M Sport Suspension, M Aerodynamic Bodystyling, Sport Front Seats, Park Distance Control, Xenon Headlights, Front Heated Seats, Cruise Control with Brake Limit Function, Auto Dimming Rear View Mirror, Auto Headlights and DAB Radio.